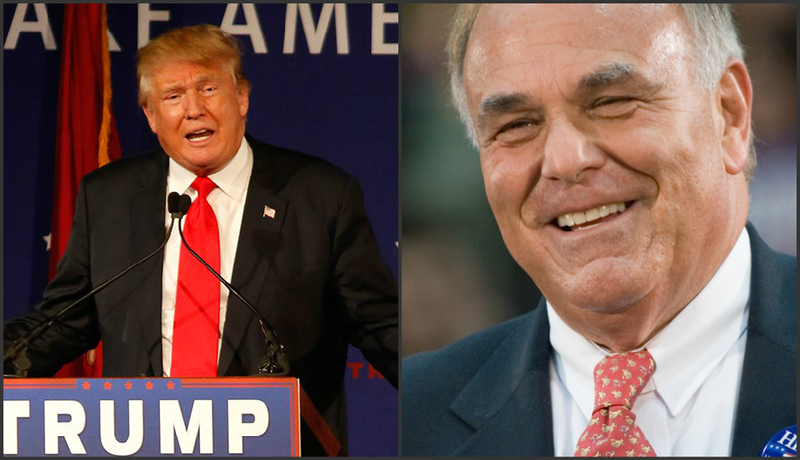 Rendell: Trump Has "Crossover Appeal" in Pa. But he still thinks Hillary Clinton will win. By Joel Mathis·	 3/1/2016, 2:40 p.m. There is surely part of Ed Rendell that sees Donald Trump as a kindred spirit. How could the author of A Nation of Wusses not see a little bit of himself in the shtick of a man whose candidacy seems to grow with every “politically incorrect” statement he makes? Certainly, Rendell isn’t dismissing the possibility that Trump could win Pennsylvania in a general election. “He has crossover appeal with some blue-collar working-class Democrats,” Rendell told the New York Times, in a story gauging Trump’s chances in a general election race against Hillary Clinton. That hasn’t worked so far, but Rendell — long a Clinton partisan — figures the math works out in his candidate’s favor.